Wera has big plans for 2016 — and with the biannual International Hardware Fair in Cologne, Germany coming up in less than 2 months (March 6-8) look for new innovations from the leaders in ergonomics, function, and design. Pictured above is the Zyklop Speed (formerly “Zyklop”) which Wera describes as, “particularly impressive because it combines 5 types of ratchet into a single tool, and delivers the fastest working speeds.” These features result in making work simpler, and saving time. Check out the YouTube video below to see it in action. The Zyklop Speed is available in 1/4″, 3/8″, and 1/2″ drives and carries a lifetime warranty. The pricing on the Wera Winter Promo is valid now through March 31, 2016, however, there are a few items that are valid while supplies last (details below). 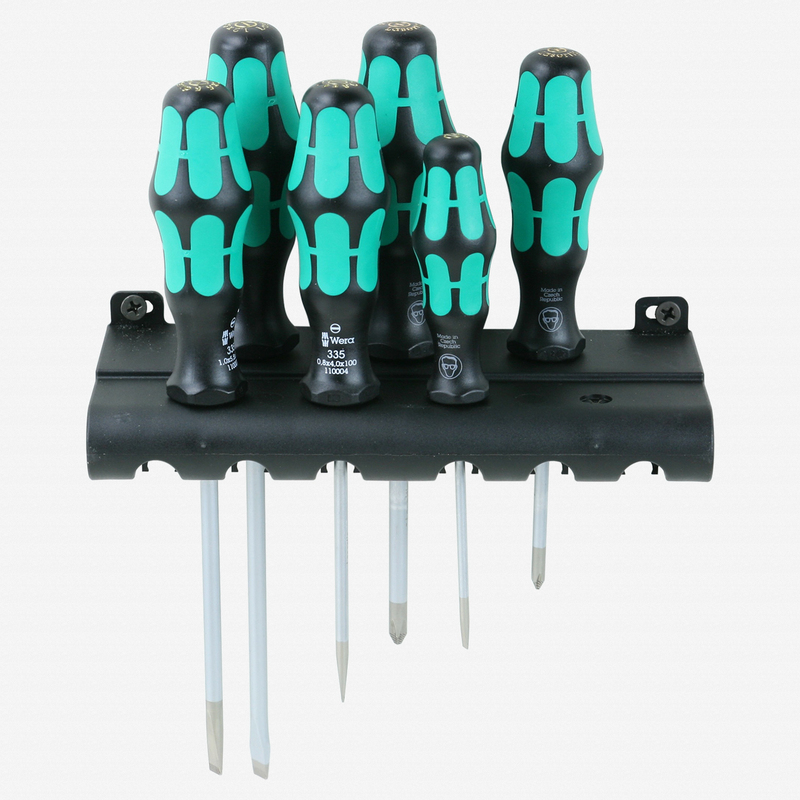 Also featured this Winter is the Kraftform Plus 6 Piece Screwdriver set that includes 4 Slotted and 2 Phillips complete with a storage rack. This is a good all around set to buy if you have been thinking about trying Wera screwdrivers. The tops of the handles have the tip style and size indicated for easy identification. All but the smallest slotted driver feature Wera’s Lasertip technology that “bites” into the screw head that help to ensure a precise fit and reduce slippage (anti cam out). Wera is also featuring their 8751-9/IMP DC Phillips Impaktor Bit-Check Set which includes x6 PH #2 and x3 PH #3 insert bits from their Impaktor series. 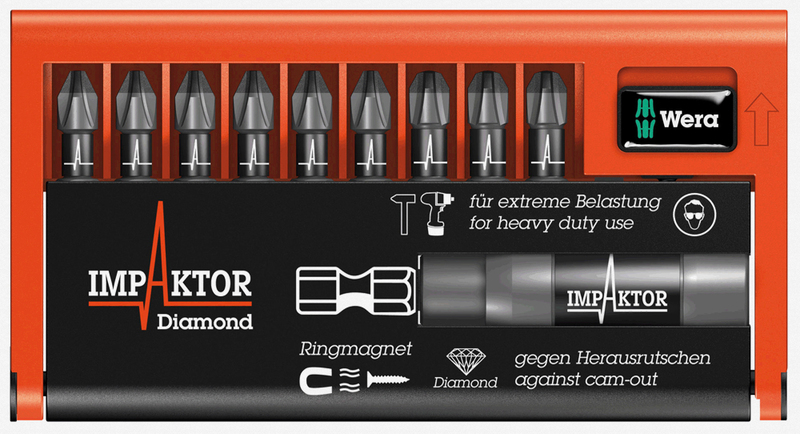 This set also includes an Impaktor 1/4″ hex bit holder with retaining and ring magnet all conveniently stored in a hard plastic case. These are the bits you want to use in your heavy-duty impact driver. As mentioned above, there are some items subject to availability. We have been informed that Wera plans to discontinue the two L-Key sets pictured below in late February or early March of 2016. We hope that the reasoning behind this is that there will be better sets replacing them soon– but how can you improve on greatness? Only time will tell but based on Wera’s history of innovation and motto “Tools From Ideas” we should see some awesome new tools coming soon. In the meantime pickup a set of these L-Keys for $27.00 each (while supplies last). Includes 1.5, 2.0, 2.5, 3.0, 4.0, 5.0, 6.0, 8.0, and 10.0mm L-Keys in a molded storage clip. Includes 5/64″, 3/32″, 1/8″, 5/32″, 3/16″, 7/32″, 1/4″, 5/16″ and 3/8″ L-Keys in a Wera velcro belt pouch. The SAE set is not available with a plastic storage clip – there was no mold ever produced for the SAE keys — due to the extraordinary costs and relatively low demand in markets outside of the USA.